Our whitepaper, "Enhanced Alpha from Operational Efficiency," shows why in this complicated environment, successful firms will not be those that invest in technology for technology’s sake, they will be those that are able to keep pace with change, and to identify ways to make that change work for them. 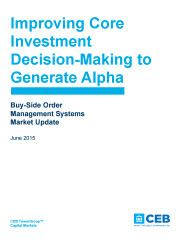 As asset managers work to generate alpha under challenging market conditions, the need for an order management system (OMS) that can handle both portfolio and risk management is high. CEB Tower Group published a report we’d like to share with you, that includes a featured audit of Broadridge Portfolio Master. The report highlights Portfolio Master’s integrated portfolio, risk and reporting system which eliminates the need for separate systems and provides all the tools needed for firms to manage the full trade life cycle in a single application – from order generation and real time portfolio and P&L analysis to pre/post-trade compliance and integrated risk management. 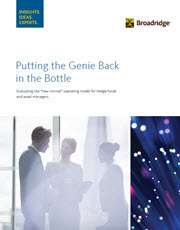 Download the "Broadridge Profiled in CEB TowerGroup's Buy-Side OMS Report." The past decade has flooded asset managers with challenges and complications, all of which are challenging to not only understand but manage effectively. Asset managers continue to look for solutions which enable them to excel in the face of unexpected challenges. Many find that Operational Risk Management (ORM) could be the path to manage challenges and complications, and therefore priority should be given to operational practices that not only reduce risk, vulnerabilities and loss, but also connect processes, systems and people. 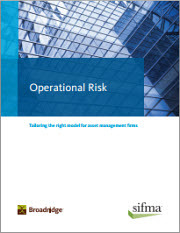 Download our white paper "Operational Risk: Tailoring the right model for asset management firms." An increasingly demanding and fragmented regulatory environment, growing investor sophistication and heightened awareness of market and operational risk management all factor into the complexity of running a successful hedge fund. 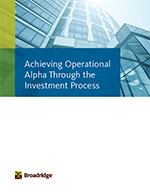 Discover which options provide the best ability to focus on generating alpha via strategies, products, and jurisdictional alternatives, while still providing the most flexible and reliable operational processes, maintenance, assessment, reporting, and retrieval. Broadridge’s Operational Risk Management Solution provides the capabilities for measuring, monitoring and mitigating operational risk. 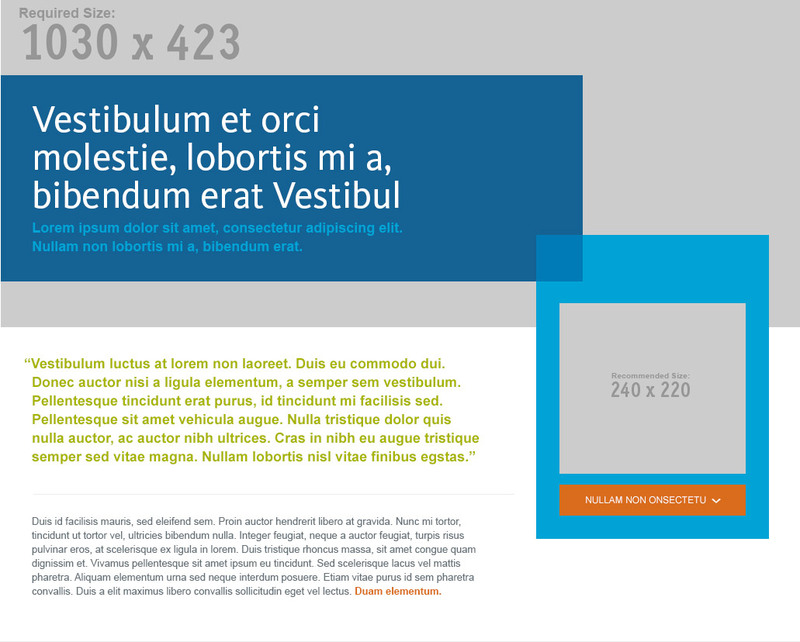 Broadridge Profiled in CEB TowerGroup's Buy-Side OMS Report. 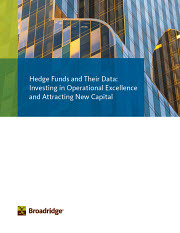 How successful funds secure new capital by investing in data management, data aggregation and reporting. 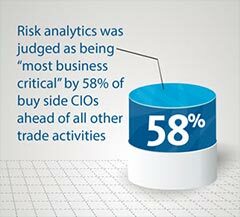 Execute more intelligent risk, trading and portfolio management solutions. Discover how a post-trade utility is a natural starting point to mutualize costs, streamline compliance, deliver innovation and create network leverage. How operations executives can help ensure successful business growth and development. To help you make an informed decision, make sure your potential service provider can answer these 10 questions to your satisfaction.